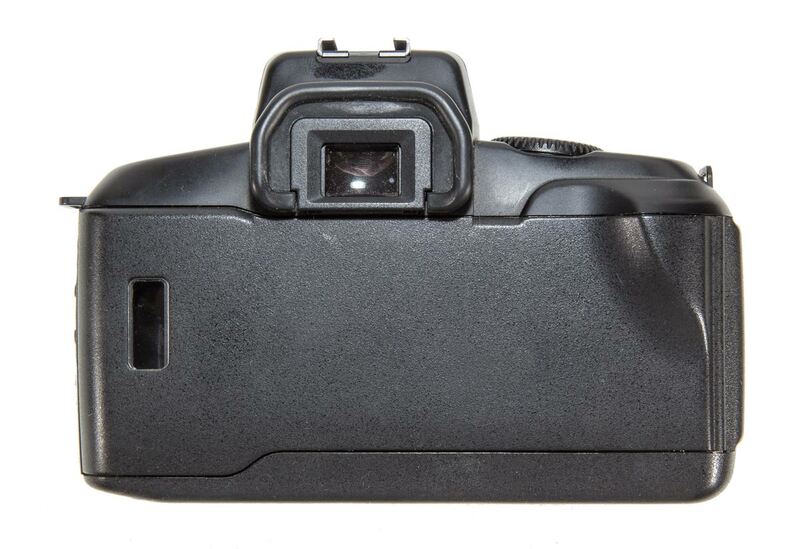 Focus: TTL Phase Detection, SIR (Secondary Image Registration) One shot mode only. 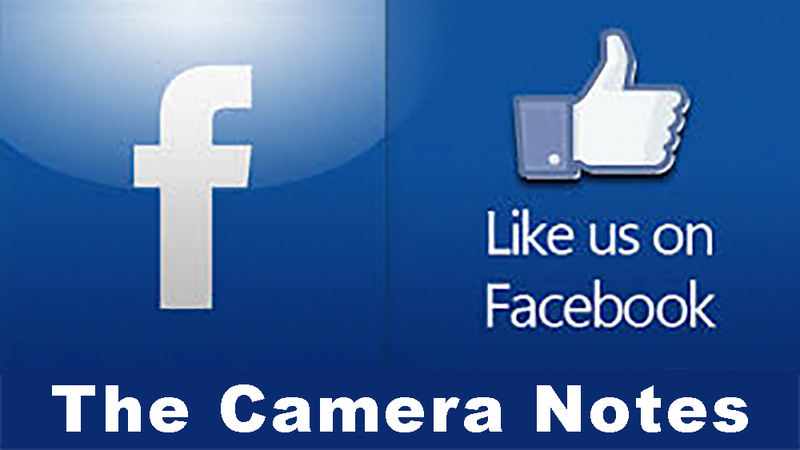 With lenses that permit, you may turn off auto focus and focus manually. Exposure: 6 segment evaluative (matrix) metering. No provision is made for manual exposure setting. 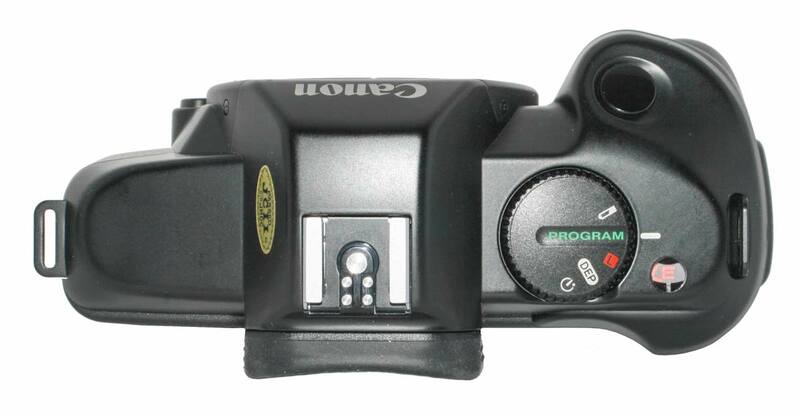 Modes: There are two modes: Automatic Exposure (AE) mode and a Depth of Filed mode where the operator selects two subjects and the camera selects the best focus setting to maximize sharpness of both distances. Accessories: This camera had three case options, depending on which lens was on the camera: SL for Body and 50mm lens, L for Body and 35-70mm lens, and LL for Body and 35-105mm lens. Notes: The EOS 750 is a simplified EOS camera intended for amateur photographers shooting in Programmed Auto Exposure mode. It is not on the bottom rung but it is down there. There is no Manual Mode. All exposure settings are automatic. 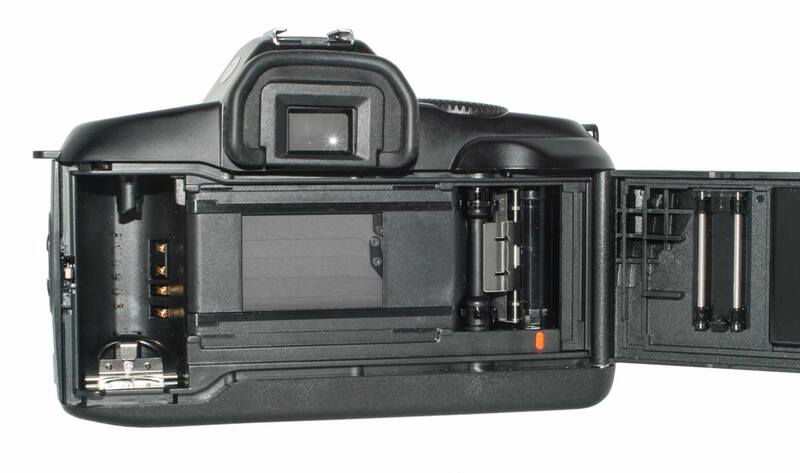 This may be the simplest SLR ever produced! The body is polycarbonate (for this read “plastic”) but it feels reasonably heavy and sturdy. 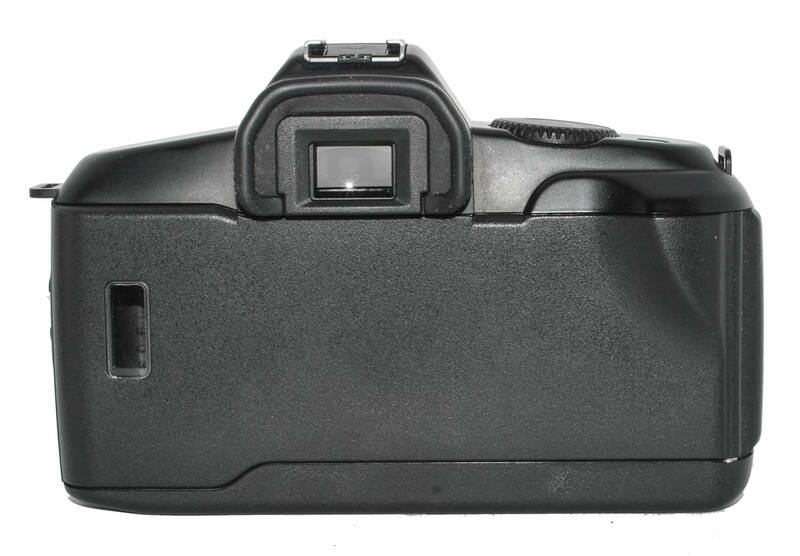 Film handling is motorized with no provision for manual film advance. An interesting feature of this camera is the film transport method: on loading a fresh roll, the whole roll is transfered to the take up spool and then as exposures are made they are wound back into the film canister. In this way, images are not lost if the back is inadvertently opened. The pop up flash is also interesting: it is automatically activated and after it fires it retracts by itself. 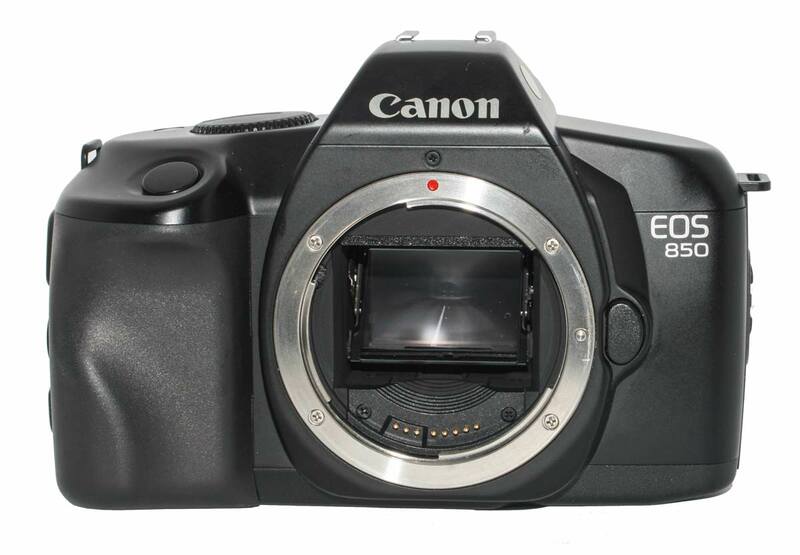 All Canon EF lenses will operate on this camera. 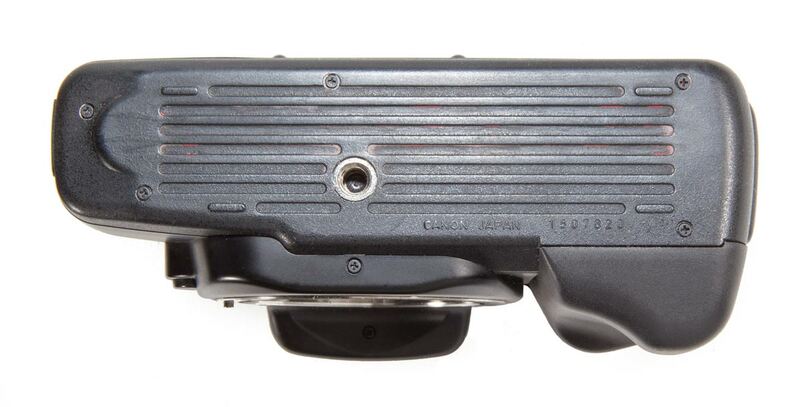 So, even though this is a simple camera, it has access to a wide range of really excellent optics. Now this is really Entry Level! 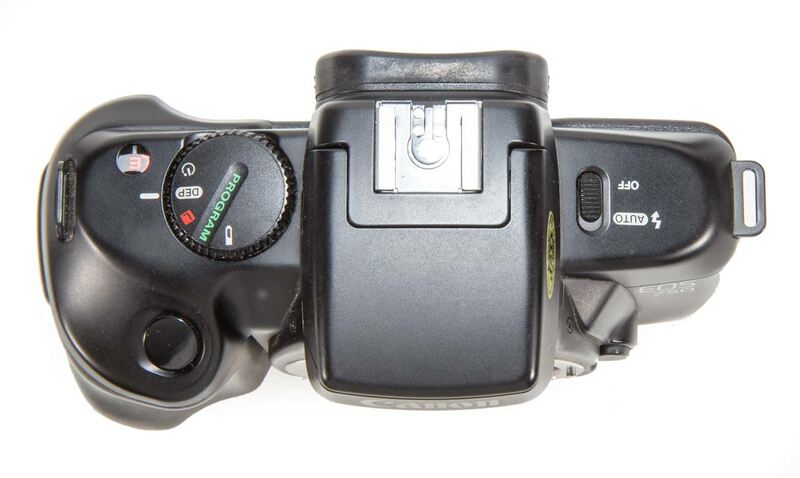 The 850 came out at the same time as the 750 and is the same camera. Well, almost: it has no flash. Other than that they are identical cameras as far as I can tell. They even share the same User Manual. This may be the simplest inter changeable lens SLR ever produced. 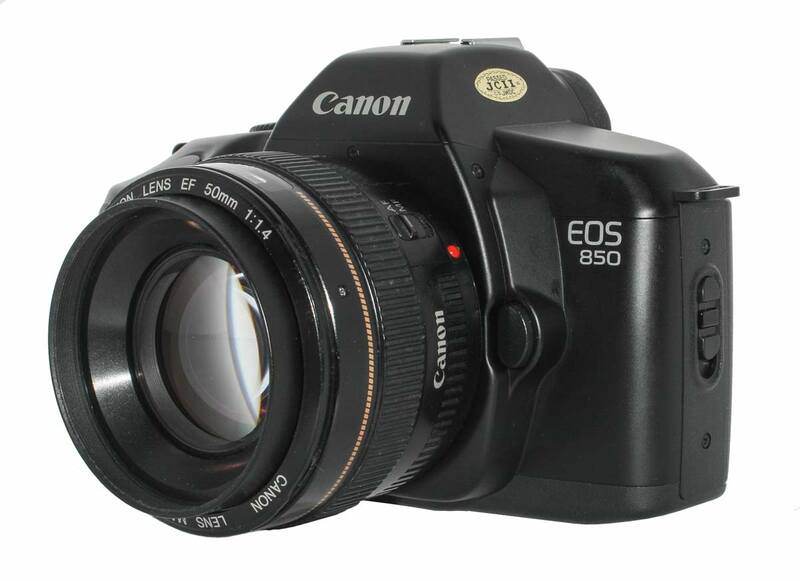 It is certainly the most basic that Canon ever produced. 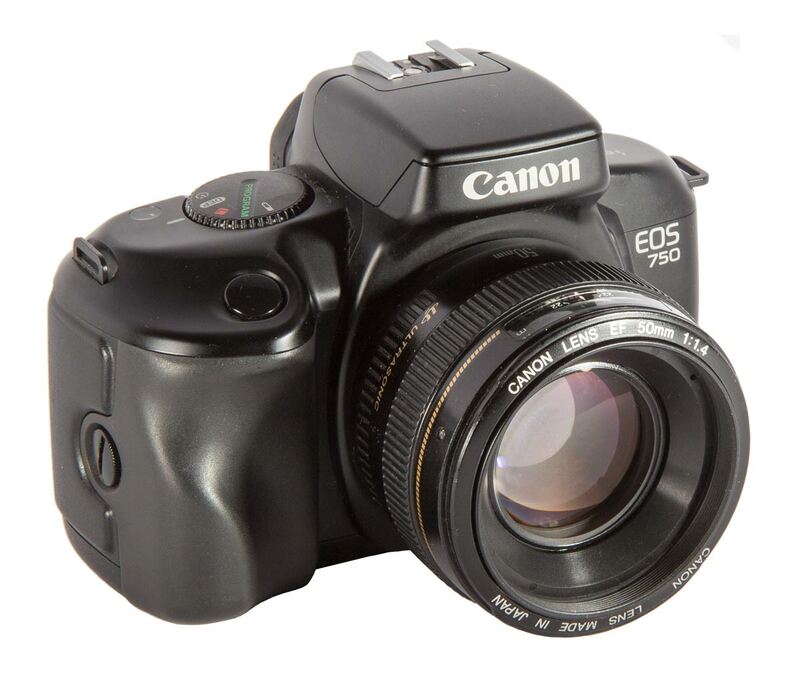 I get the impression that when this model was released Canon was not finished sizing up the SLR entry level market. 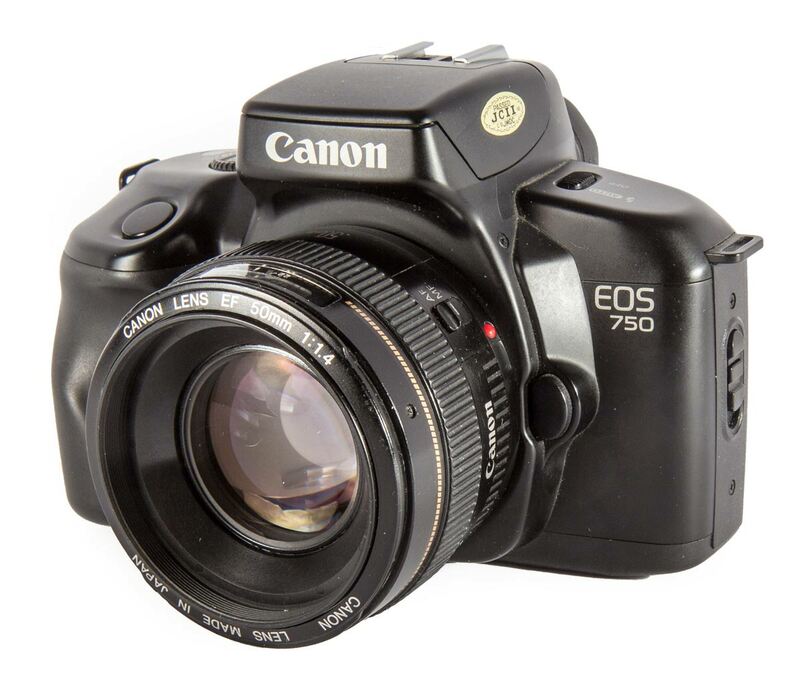 After the 750/850 came a minor variation in the EOS 700 and then came the Rebel. This was a much more capable camera and from then on the entry level cameras became more and more capable. 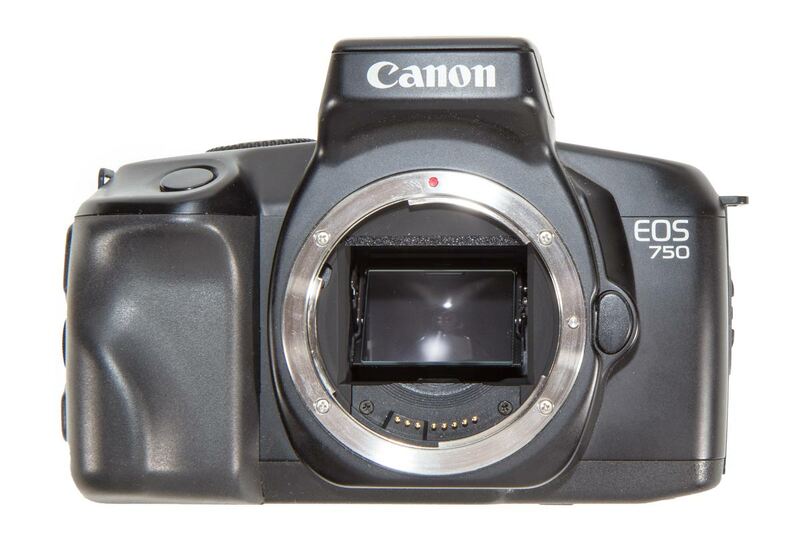 I feel theat Canon came into the market with a camera that was so entry level that there were lots of “point and shoot” and rangefinder cameras that were very competitive. 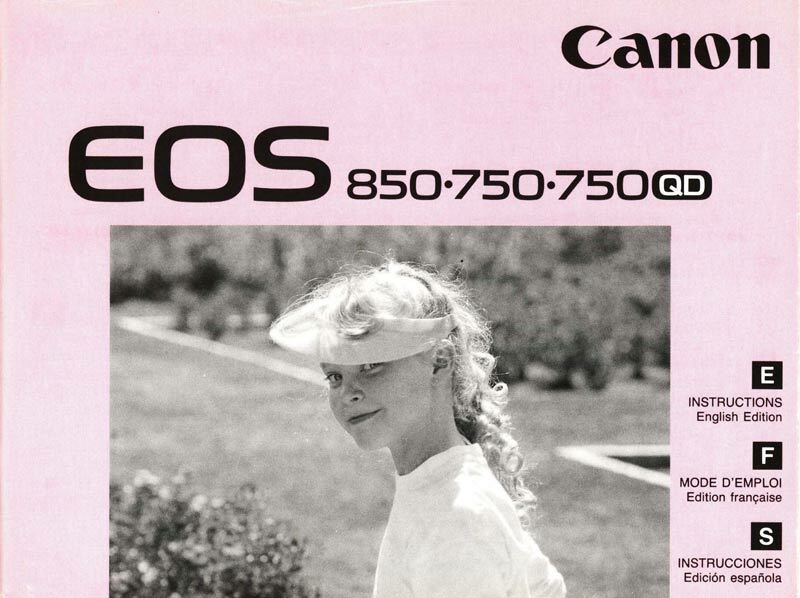 Although this camera could accept the EOS lenses that was not enough to create a strong market for it. This is speculation on my part but it seems to fit the facts..